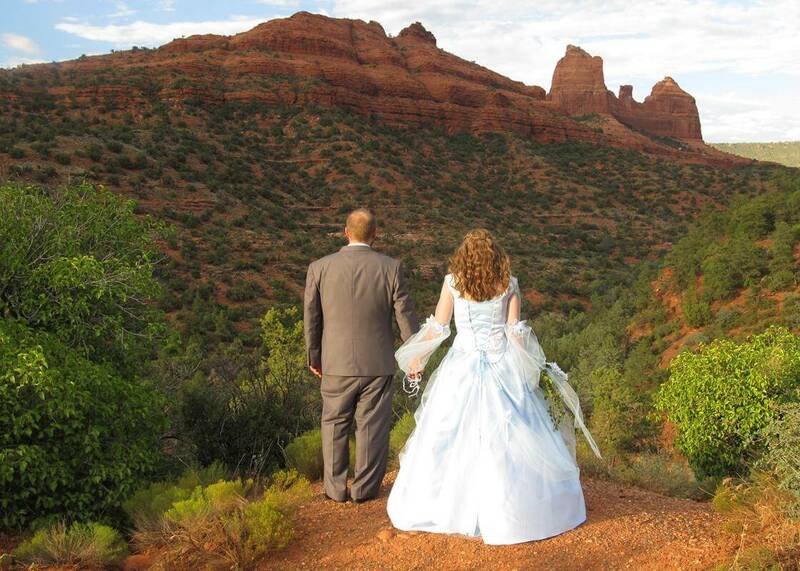 The Huckaby Hollow wedding venue is the start of a trail head a short way up Schnebley Hill. 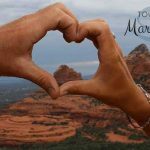 I found this lovely spot that is a natural amphitheater surrounded by gorgeous formations and an incredible vista of all of Sedona spreading out before you. 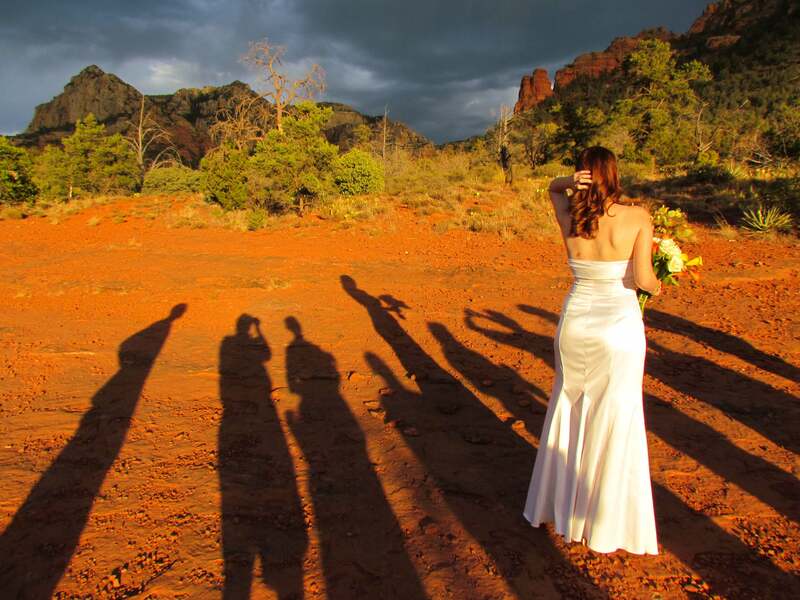 Imagine your ceremony in the shade of a twisted vortex Juniper on a platform with the red monoliths of Schnebley Hill rising up above you. 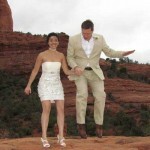 There are a lot of pros to this site. 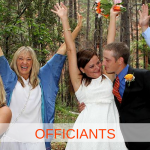 You can reach this site with any kind of vehicle, so no need for the expense of renting Jeeps. 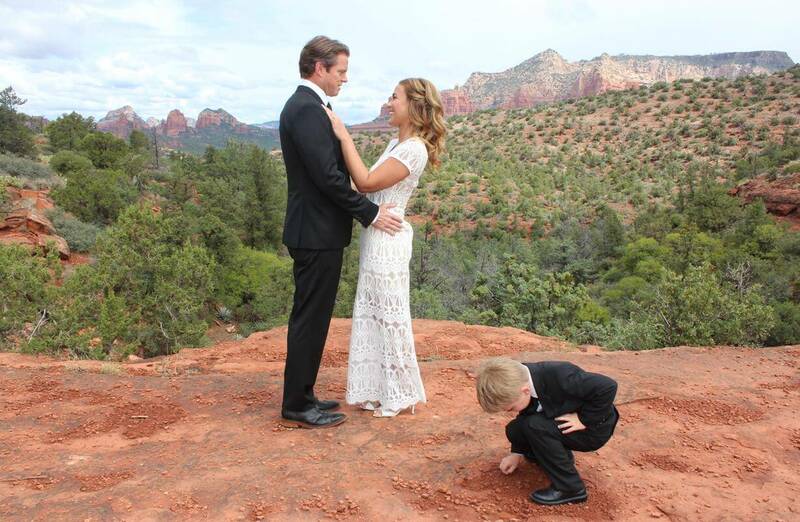 It is very easy access for all ages. 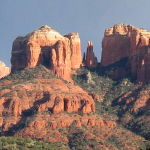 There is a lot of parking and even a bathroom/change room at the trail head. 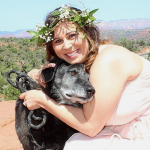 Huckaby Hollow is quiet and secluded. 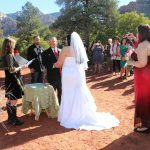 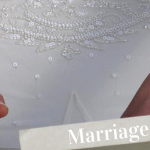 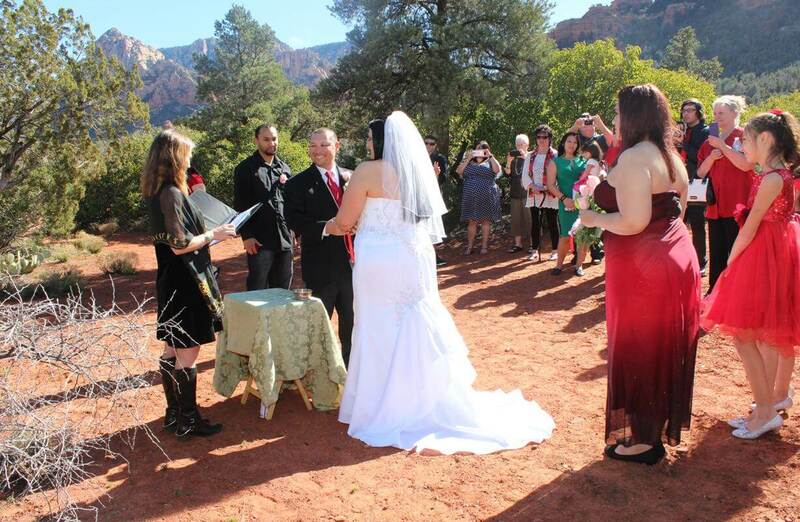 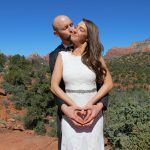 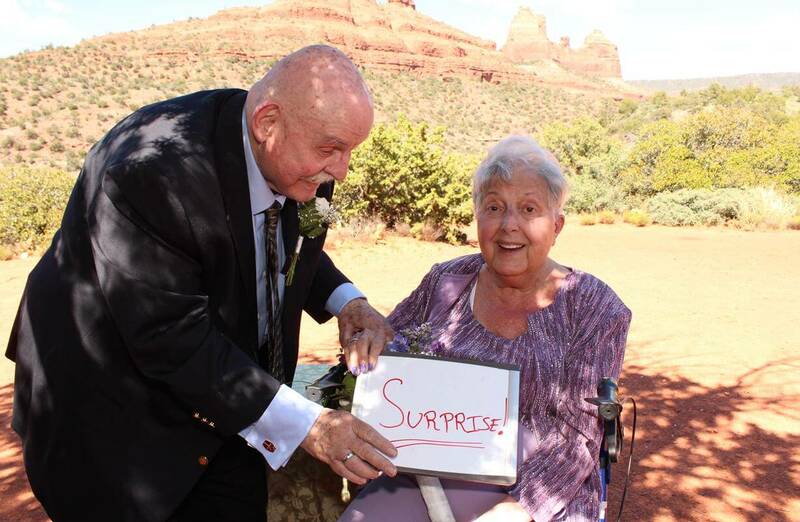 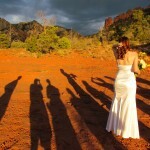 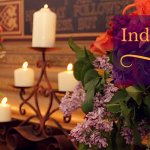 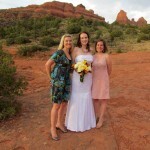 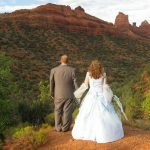 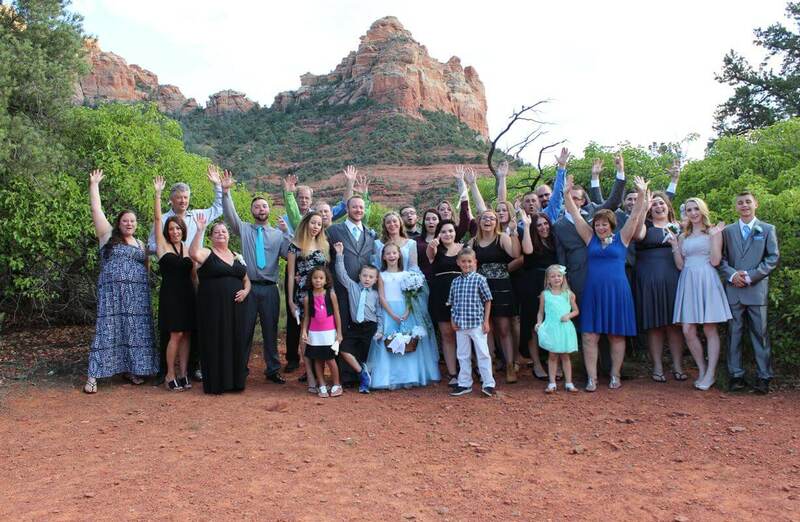 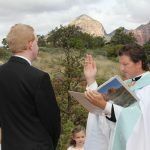 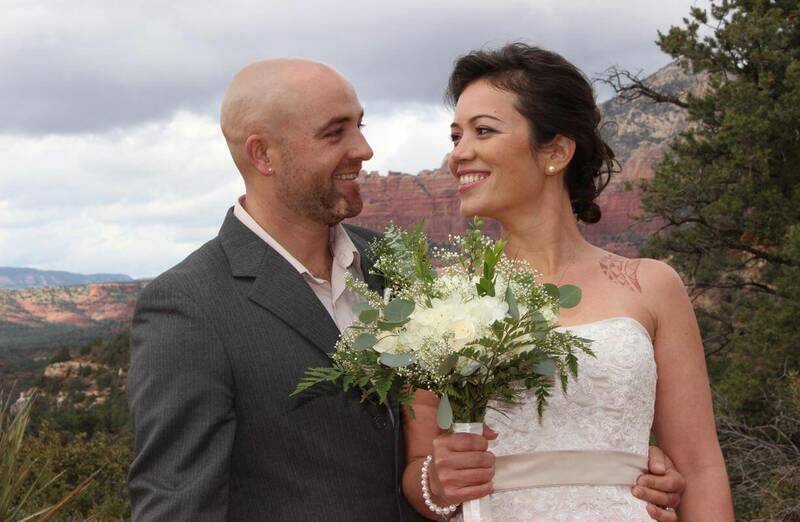 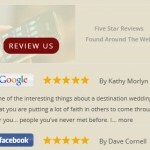 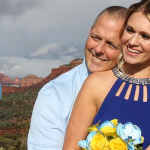 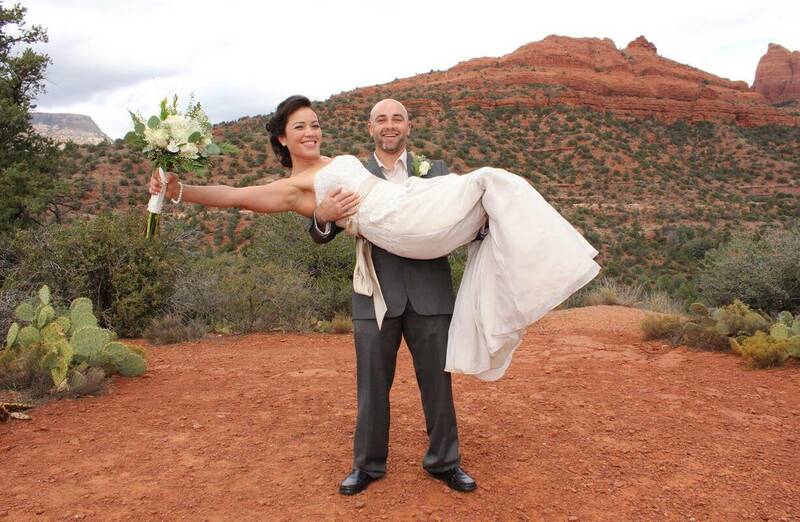 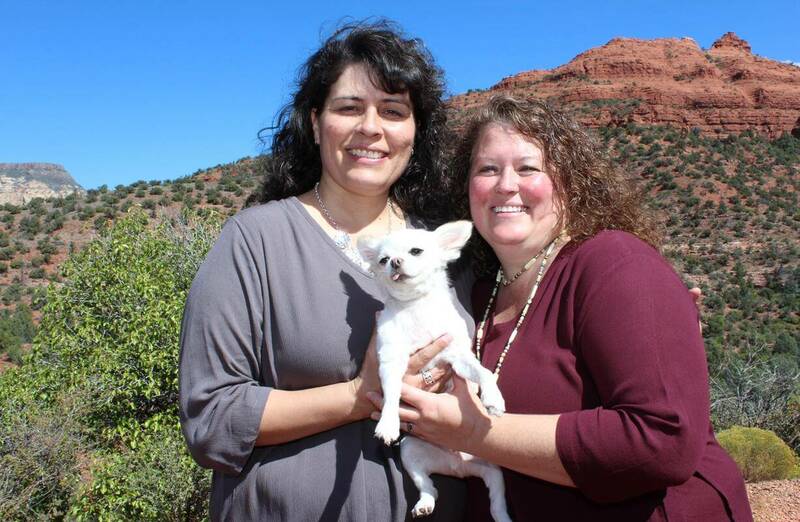 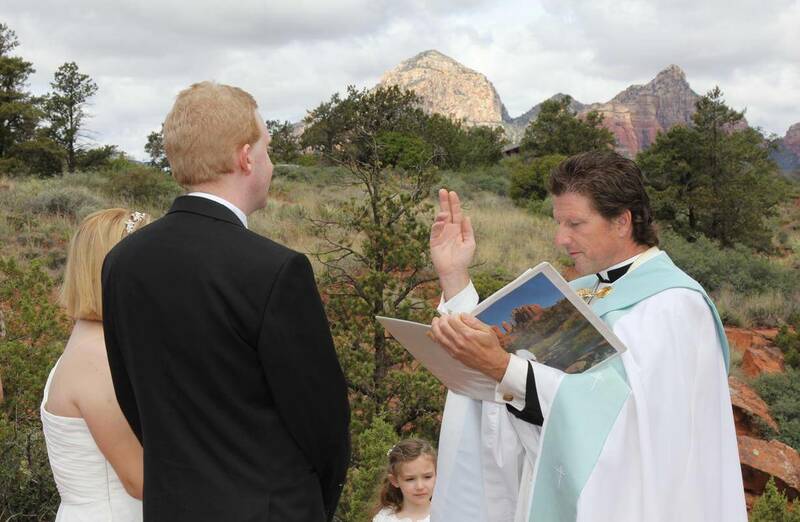 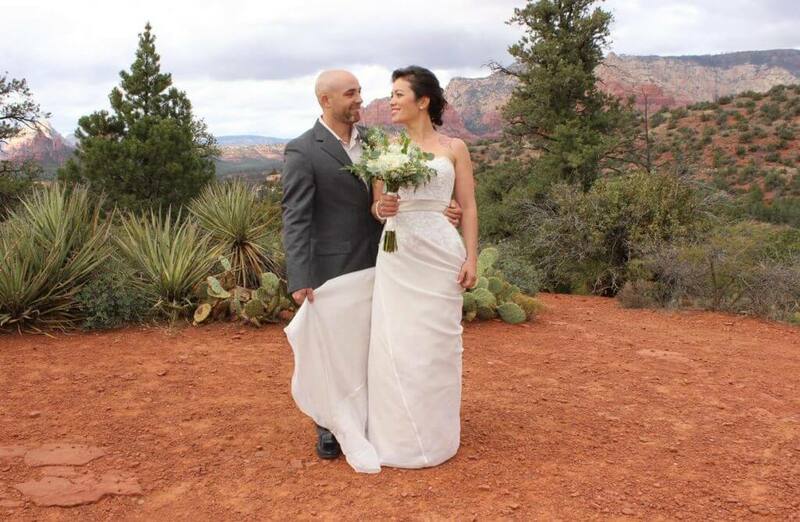 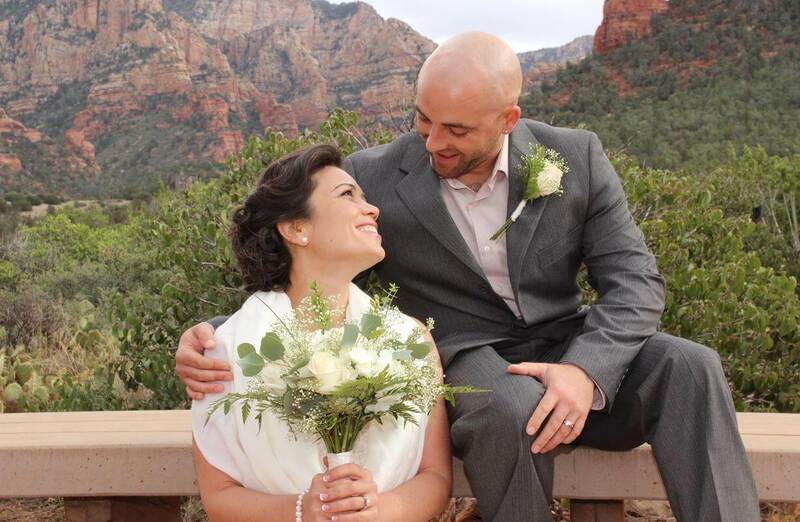 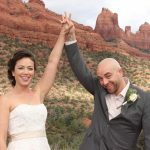 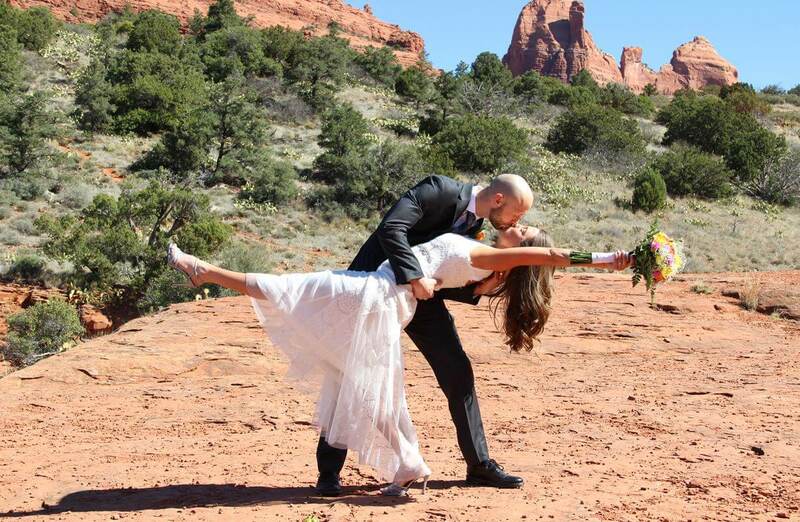 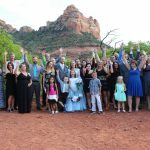 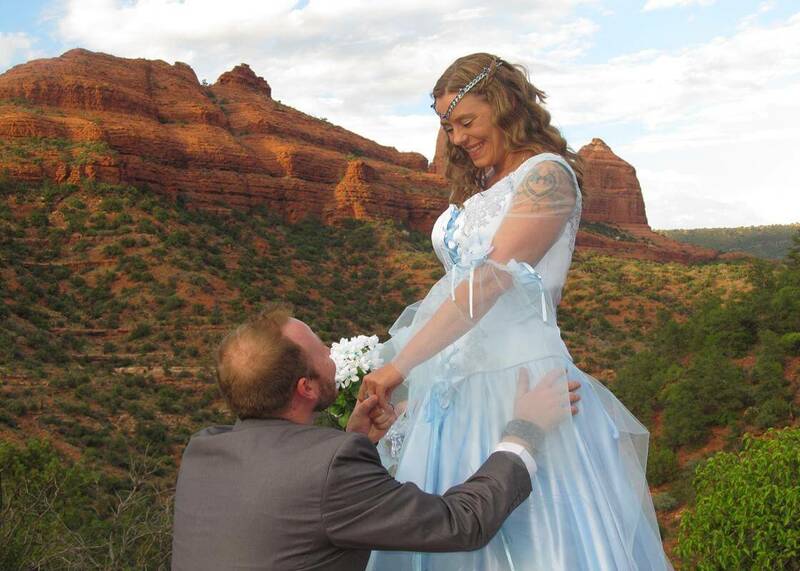 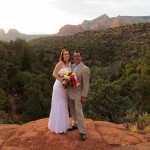 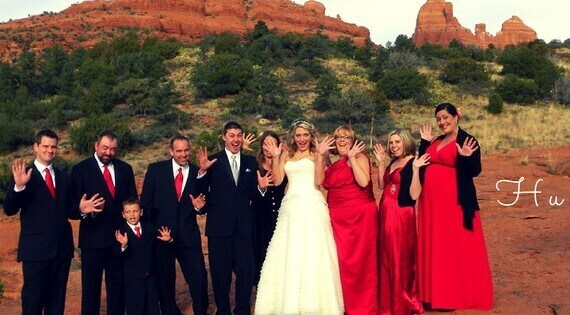 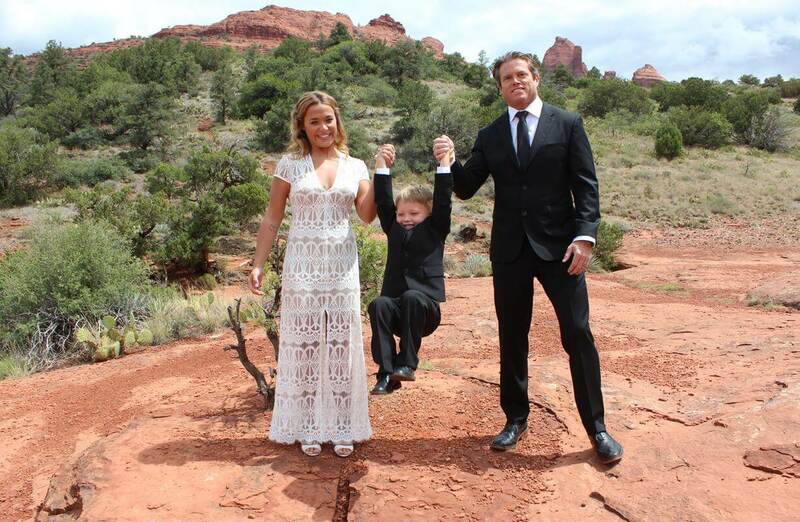 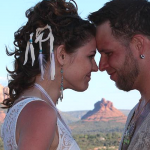 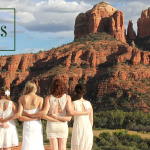 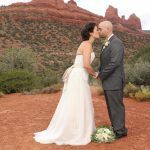 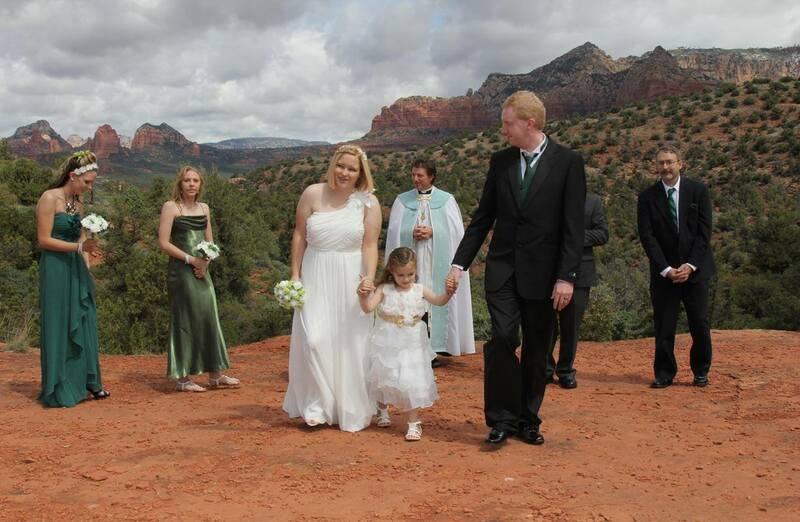 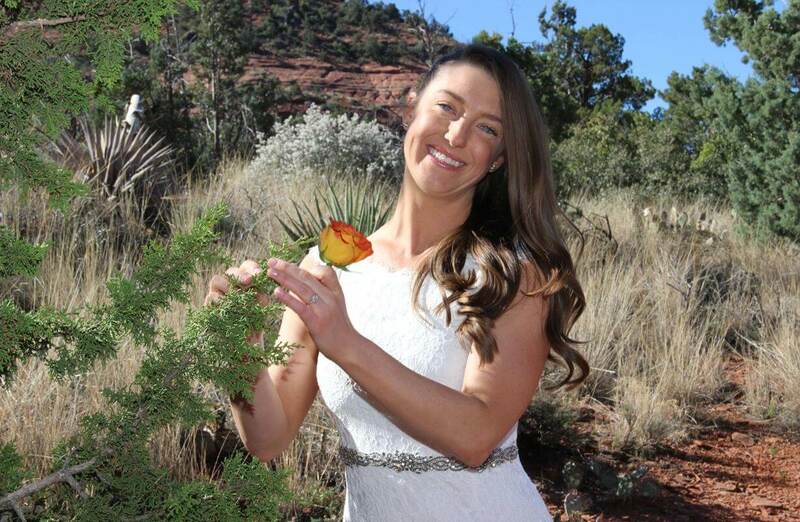 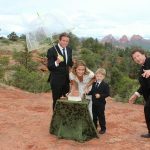 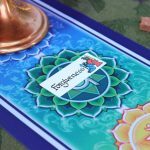 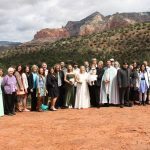 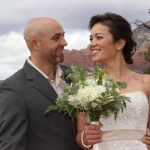 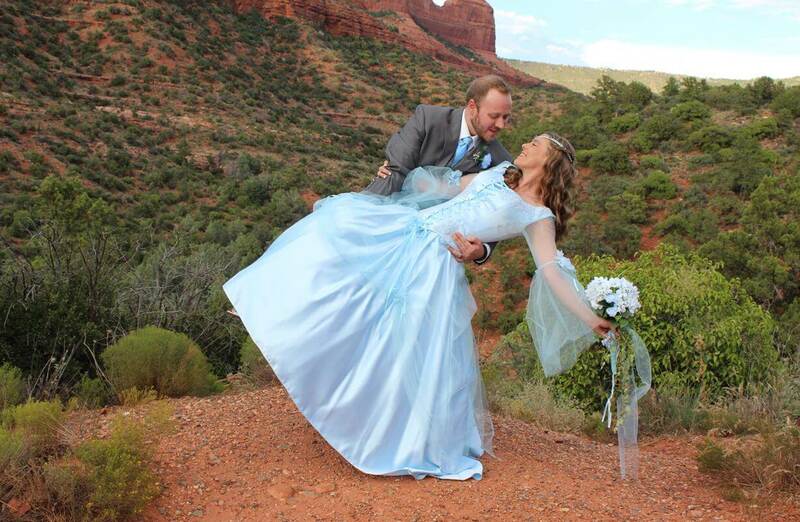 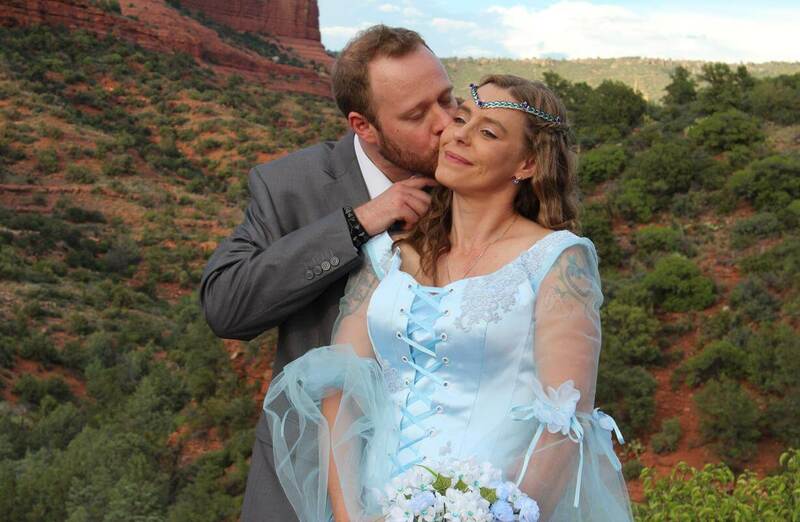 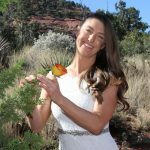 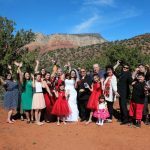 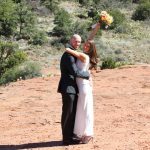 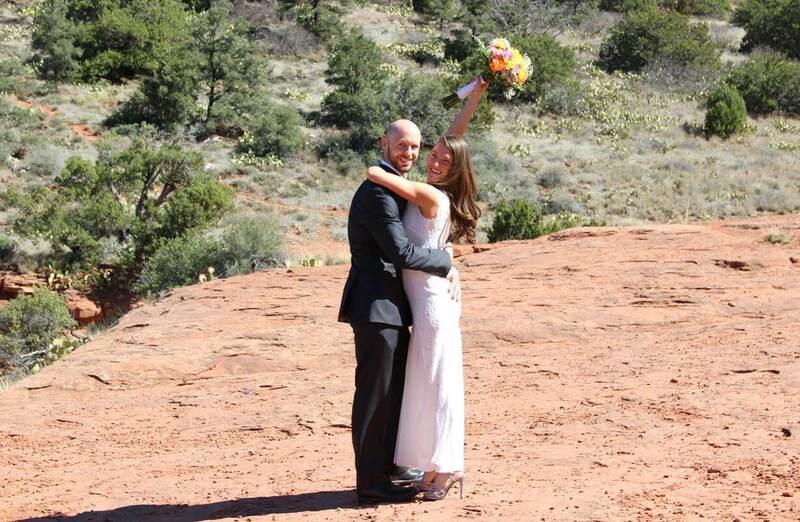 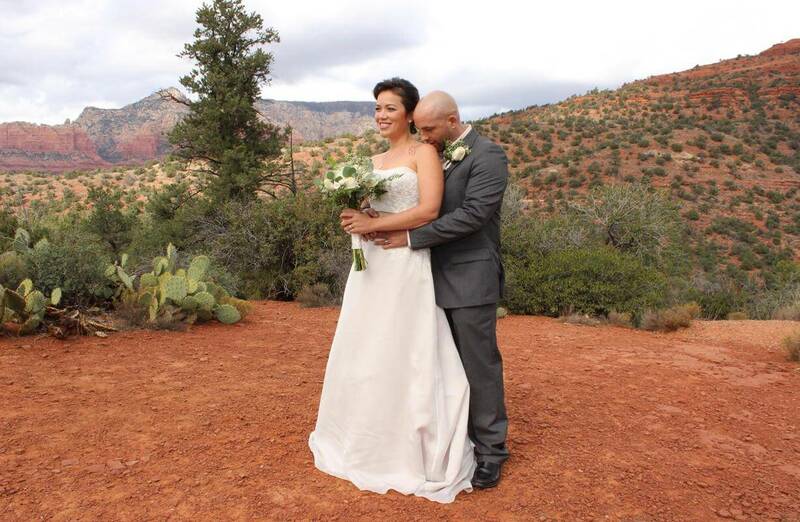 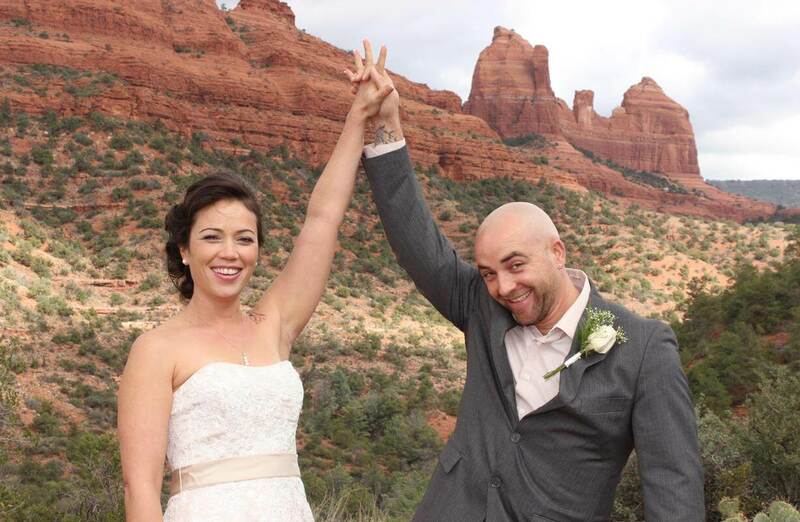 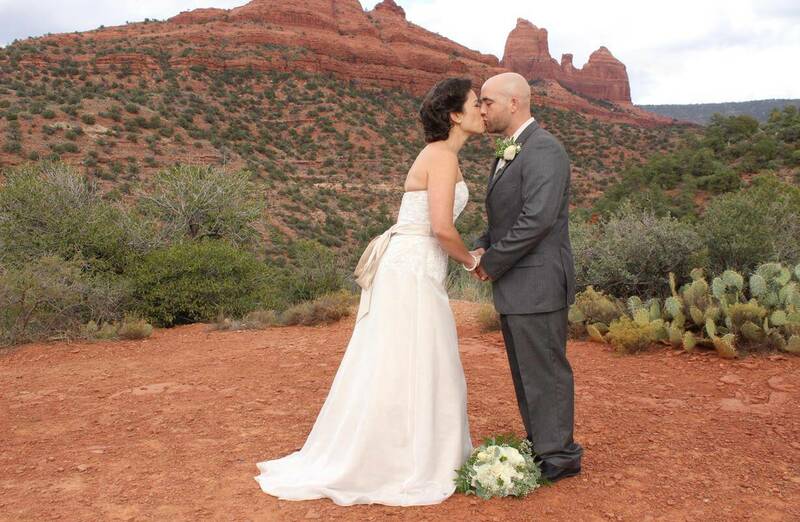 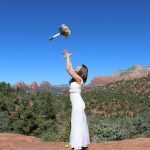 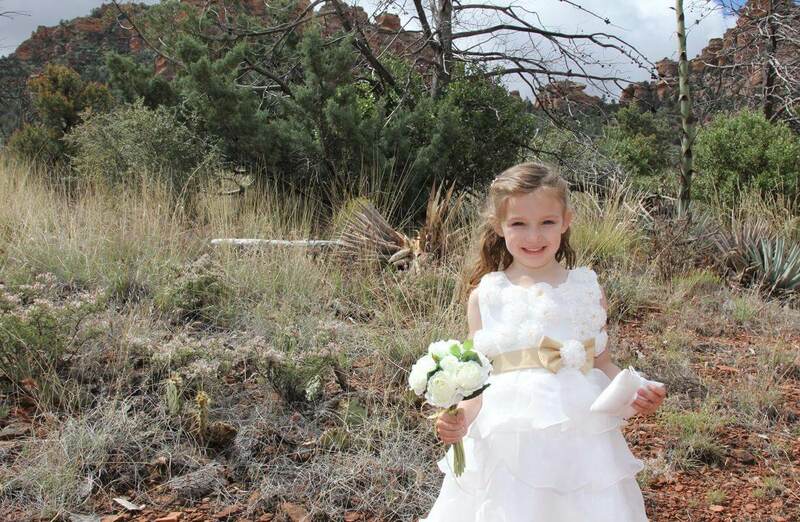 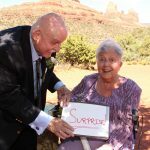 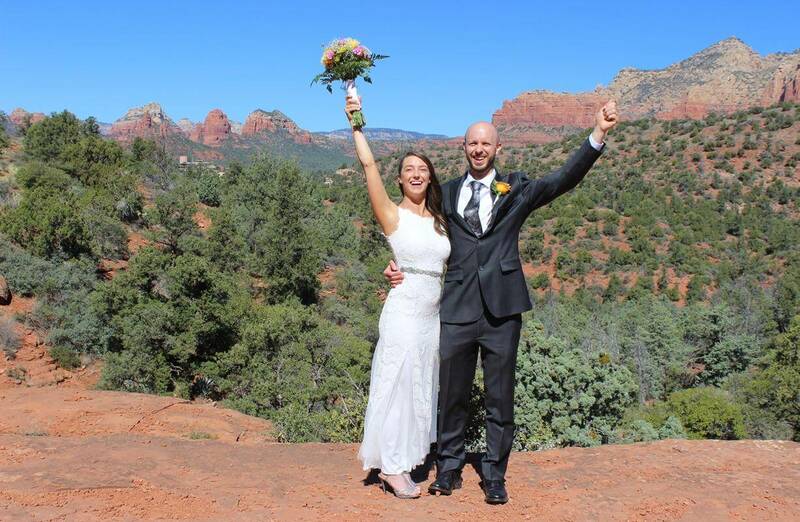 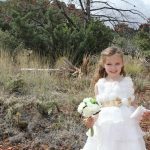 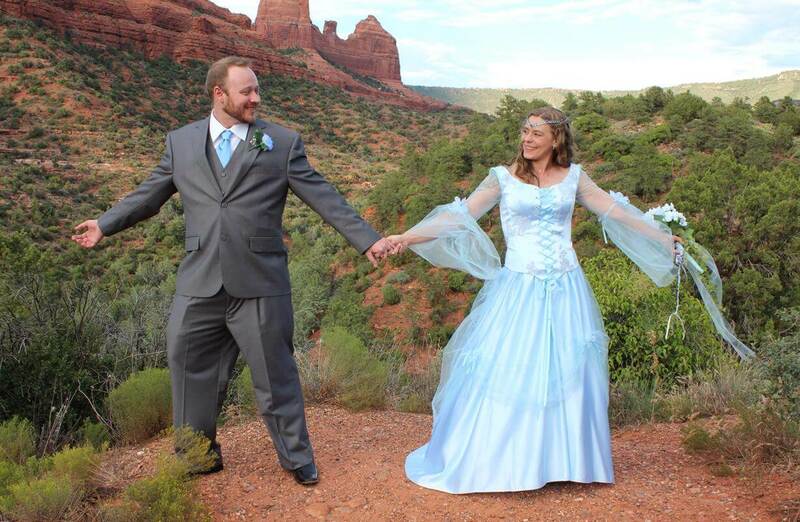 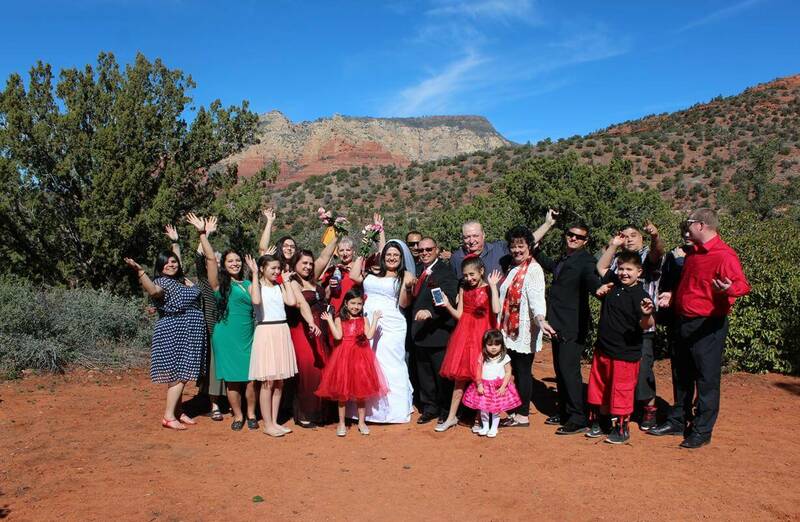 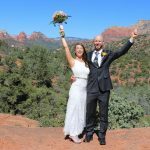 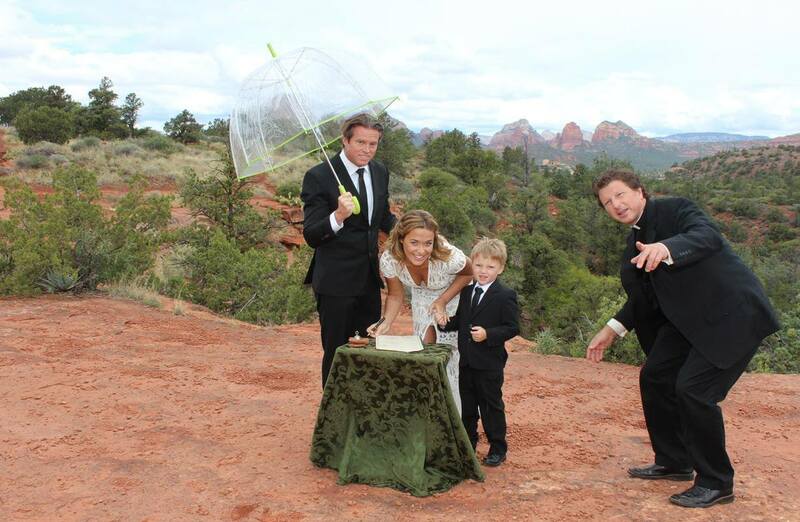 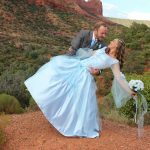 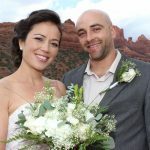 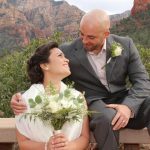 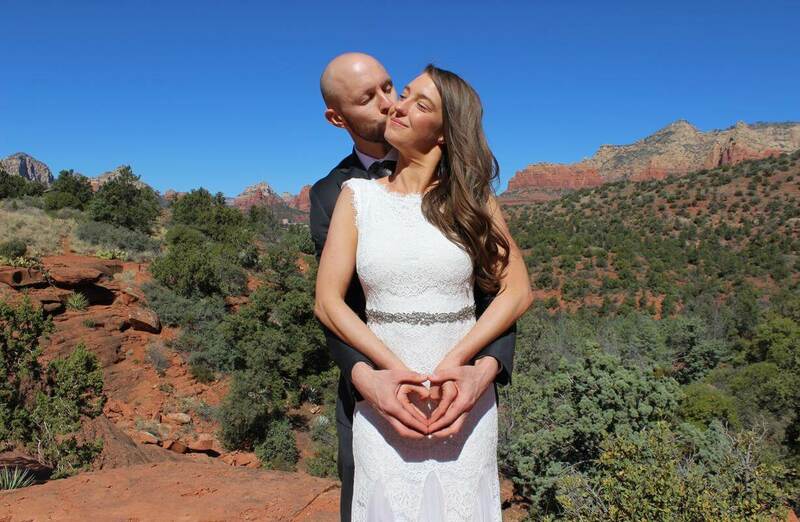 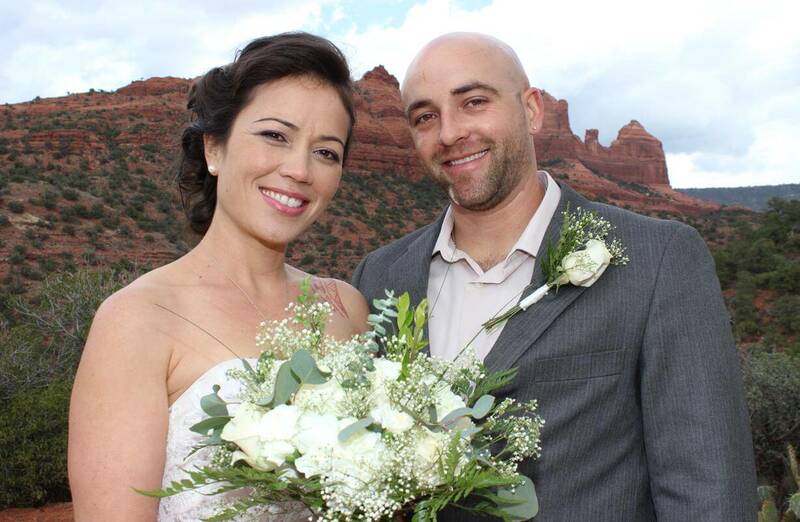 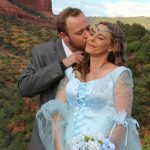 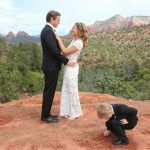 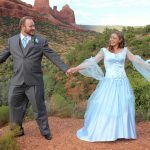 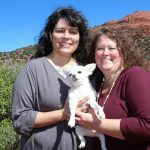 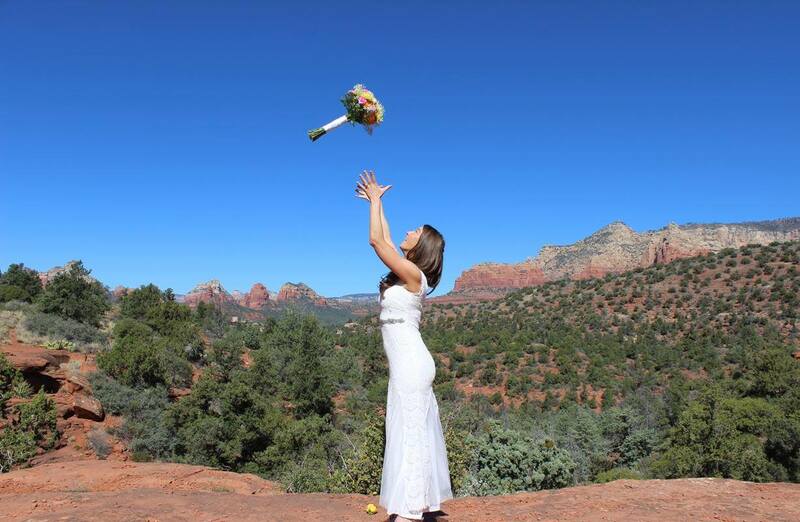 It’s a very memorable and unique location for your Sedona wedding. 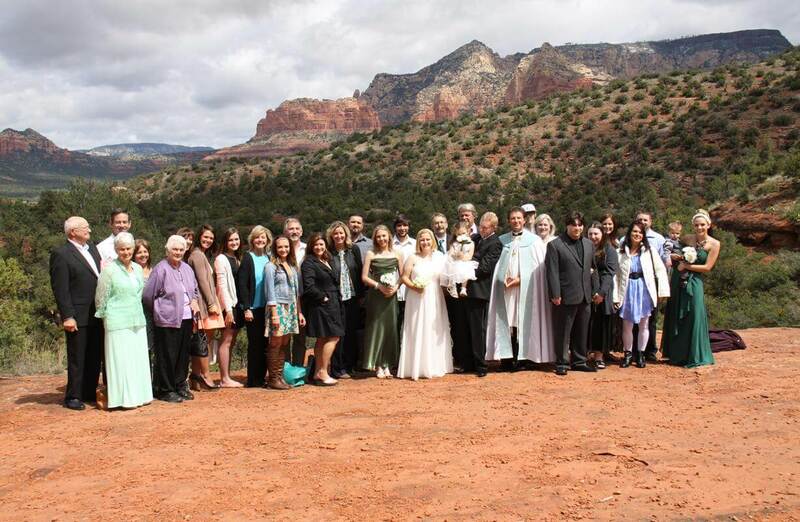 It’s also great for all size weddings.